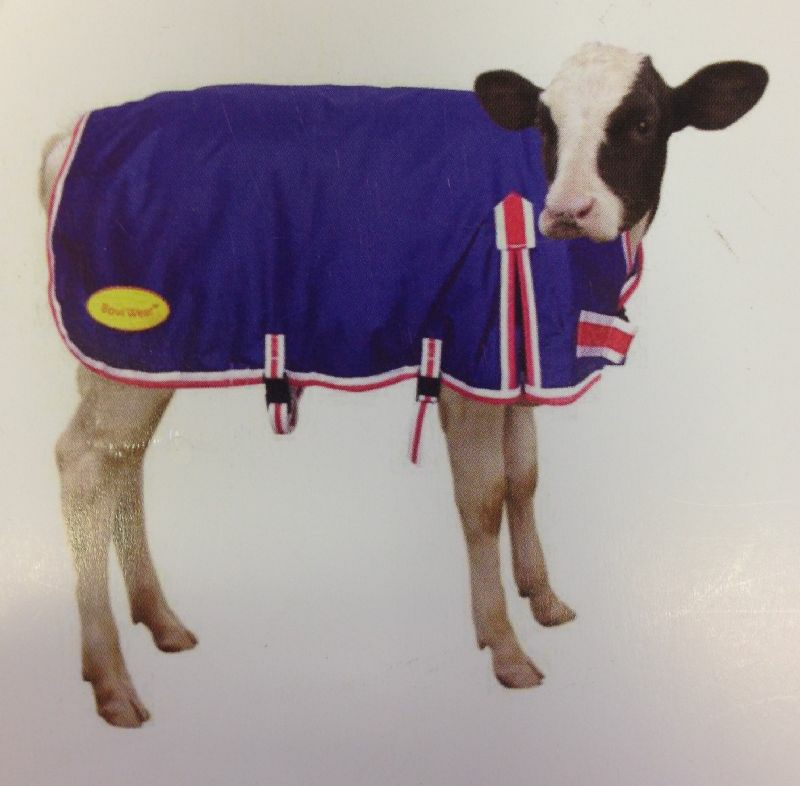 The calf jacket is made of a strong 600 den ripstop fabric which is waterproof & breathable. 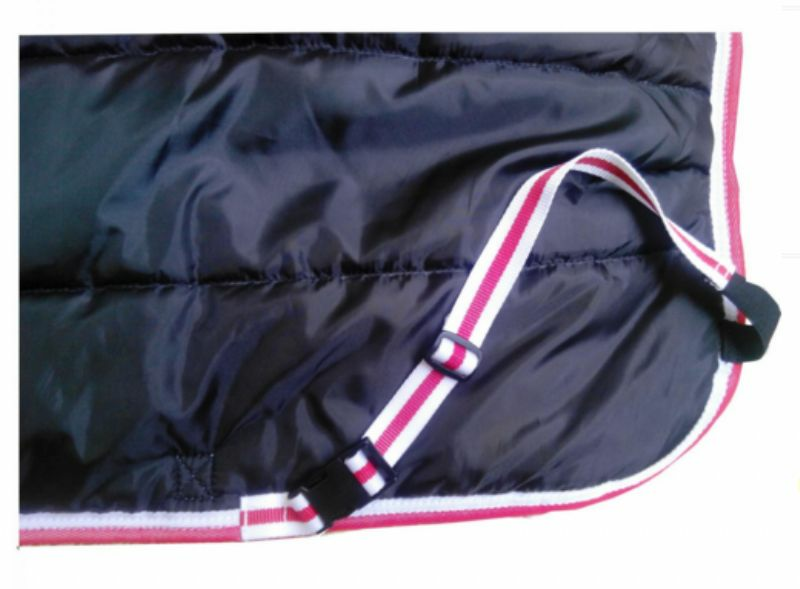 It can be machine washed at 60 degrees C, 200g polyfill, nylon lining. 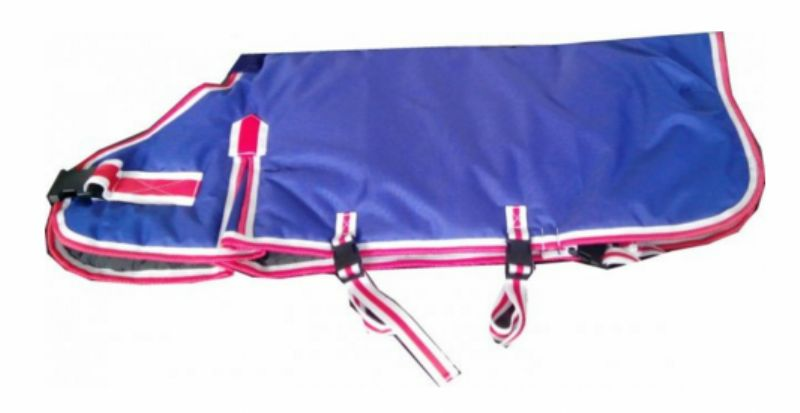 They come with a large strong clip at the chest with elastic band inserted for better fitting different sizes. three further strong clips, one around the belly and two around the rear legs. adjustable leg straps half elastic. 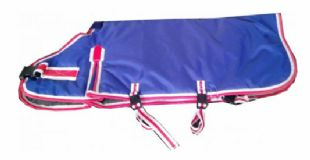 There is a shoulder gusset for freedom of movement and a fleece wither for comfort and stops any rubbing on the neck. Protects newborns from adverse weather, helps maintain core temperature, better food conversion, improves growth, reduces food consumption, 100% waterproof, machine washable. Suitable for calves from birth to 6/8 weeks old when night time temperatures are below 10 degrees C.